Say what you will about the Matrix sequels, but you can’t deny that The Matrix is one of the single most influential films of the last fifteen years. And even though it bombed upon its release I firmly believe Speed Racer will be a watershed film that will be a major touchstone for the filmmakers of 2030 and beyond. The Wachowski siblings are at it again with Cloud Atlas, the ambitious adaptation of David Mitchell’s landmark novel of the same name. Every year the MPAA gives each studio a single pass to override the standard 3 minute limit on trailers. Studios tend to use them only on their ost complex or marketable films. You may remember 20th Century Fox using their pass for the four minute Avatar trailer back in ’09. Warner Brothers was smart to use their pass on Cloud Atlas, a story that is basically The Fountain on steroids: six major stories spanning multiple centuries, all dovetailing in one spectacular moment of clarity. That’s a hard story to sell, let alone shoot, but it seems the WB and the Wachowskis are up for the challenge. This is one heckuva pretty trailer, and it definitely packs a powerful punch. I’m itching like crazy to see this as soon as possible, and I’ll probably break out my copy of Mitchell’s book to re-read while I wait. 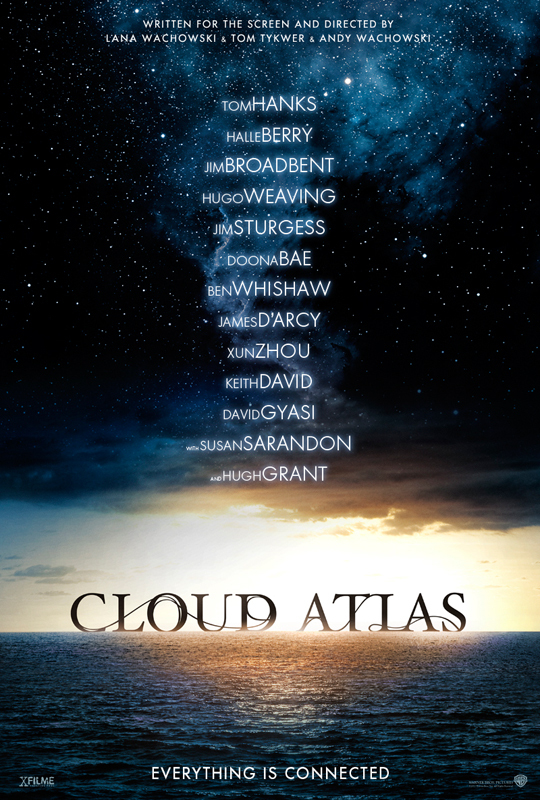 Cloud Atlas arrives on October 26th, 2012. There are currently 5 Comments on This “Cloud Atlas” Trailer Is Better Than Any Movie I’ve Seen All Year. Perhaps you would like to add one of your own?